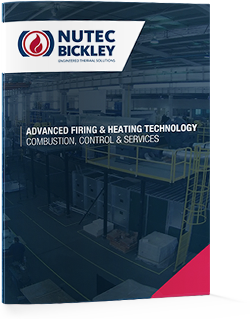 Nutec Bickley supplies Control Panels for local or remote operations. Gas Control Panels can be supplied with integrated PLC, ignition system, control logic and alarm signal. Gas control Panels are delivered prewired, tested at our facilities and also include ignition logic and all the required system alarms. Each Gas Control Panel includes all internal logic sequence elements and controls such as timers, flame failure relays, power source, voltage regulation, control transformer, membrane swicth panel, ect. All Panels are designed using the safety guidelines of NFPA-86 “National Fire Protection Association” in its last edition. Operation according to the highest quality and safety standards. Compliance with the latest NFPA-86 norm.